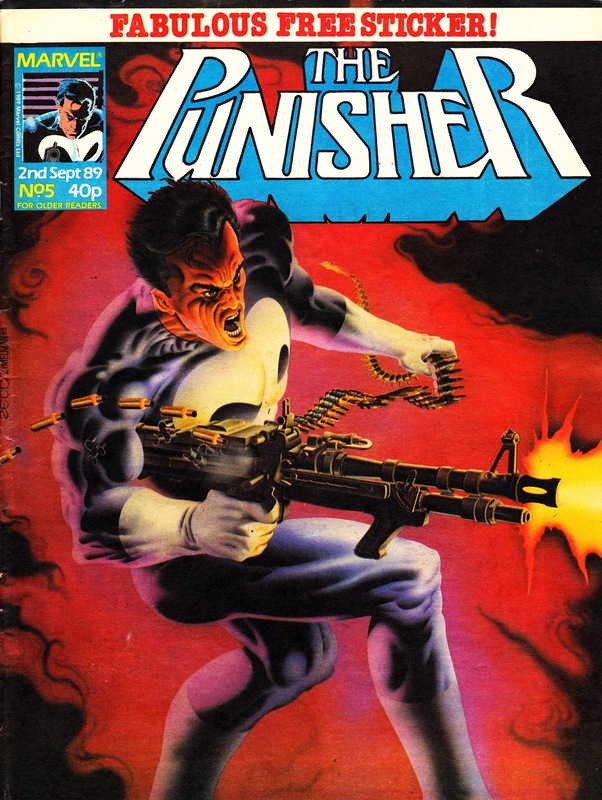 This is the second instalment of THE PUNISHER Cover Gallery, covering the issues with a September 1989 cover date (issues 5-9). 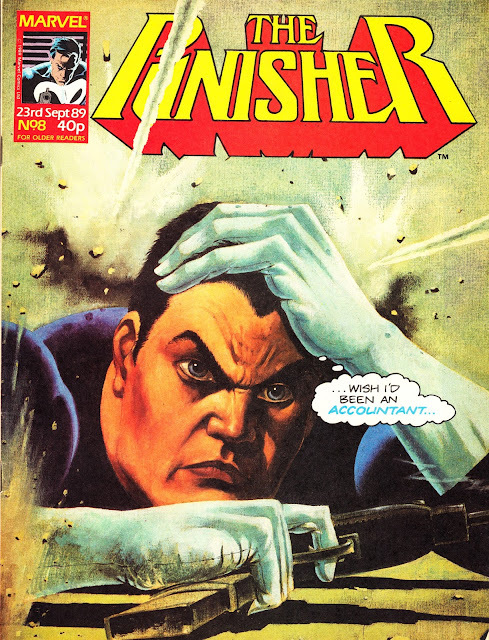 The Marvel UK weekly ultimately ran for 30 issues before shuttering without warning. 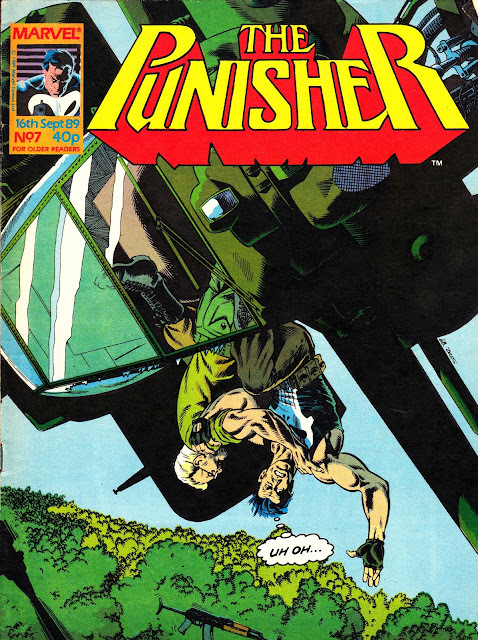 i have a comics catalogue which lists an issue 31, an 'autumn special ' but im not sure if this was ever actually published..? 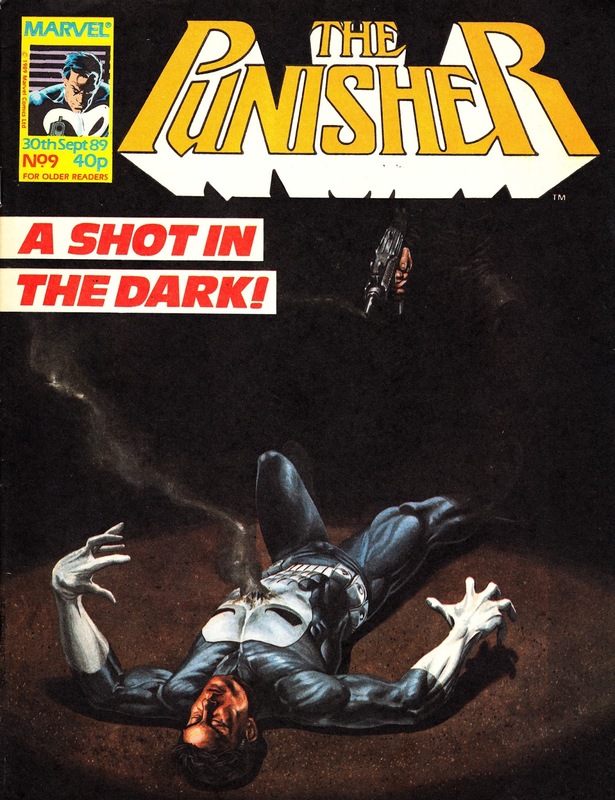 There was indeed a one-shot Special published in late 1991. I have a copy and I'll post the cover at some point (probably after I've completed the main thirty issue run). It doesn't count as "issue 31" as it was obviously a standalone published a long time after the weekly/ fortnightly folded. 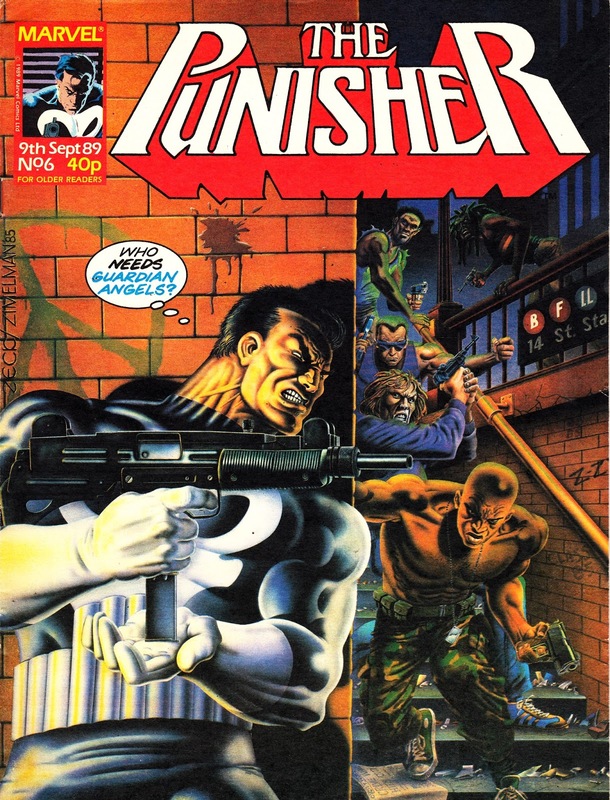 Technically, The Punisher merged with STRIP (complete with cover-mounted Punisher patch, similar to the Spider-man and Star Trek ones M-UK gave away around this time) although - again - it didn't continue the strips from the regular comic and switched back to a seventies strip which - without checking - I suspect originally came from one of Marvel's b&w magazines. I have a complete run of STRIP filed away somewhere so, if I ever unearth them, I'll run a cover gallery.